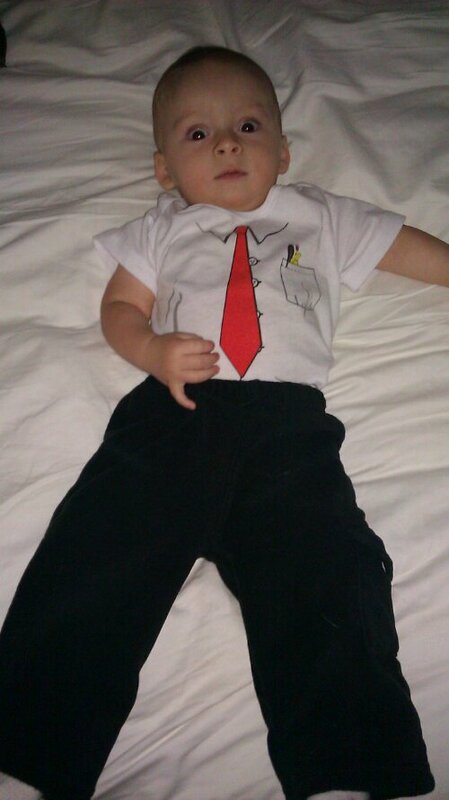 Last night for his first Halloween Little Wyatt was an I.T. Specialist. This entry was posted in Family, Fatherhood, Geek. Bookmark the permalink.